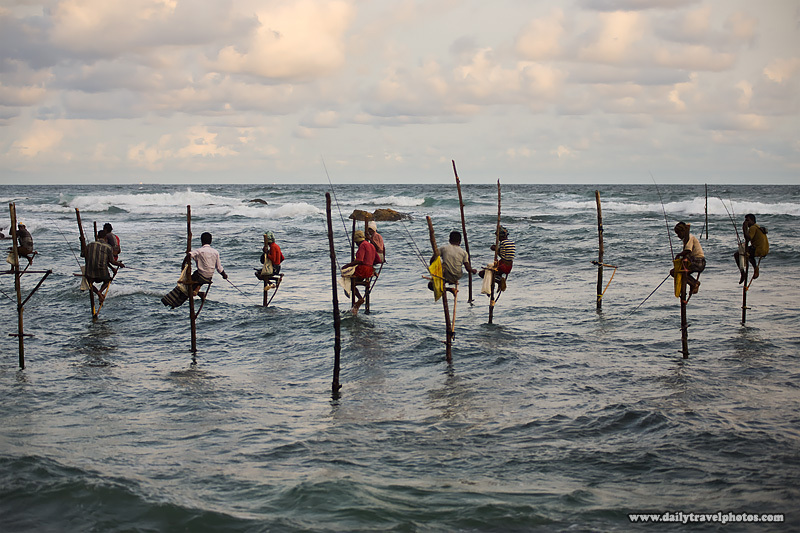 A group of Sri Lankan stilt fishermen fish in a rough ocean (archived photos, on the weekends). I would like to ask your pemission to use your picture of the fishermen in Vertical Angling as a refrence for my art major exam drawings. I would like to hear from you as soon as possible. Thank you for your kind attention and understanding.